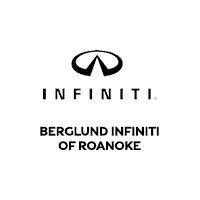 Settle for nothing less than excellence with Berglund INFINITI of Roanoke. Our professionals offer you the service you deserve and strive to ensure that you leave our dealership satisfied. Whether you are coming by to purchase a New or Used vehicle or receive expert INFINITI service, we’ve got you covered.Like the INFINITI models we sell and lease, transcendental prestige courses through our veins. From the very moment your heel touches our showroom floor, you’ll understand why local drivers consider us to be one of the premier automotive dealers in Roanoke, VA. Let us show you more about who we are, what we’re committed to, and why shopping Berglund INFINITI is always in your best interest. The high quality of an INFINITI vehicle shows you how life in luxury should be. From the inside out, this brand raises the bar with each new model that is released. Experience it for yourself by getting into one of your own. A new INFINITI is fit for a king, and you will feel like royalty when you drive one. At Berglund INFINITI, we strive to enhance the customer journey, mile by mile, inch by inch. Our dealership offers the latest INFINITI cars and SUVs in stock, such as the world-class Q60 sedan and the sophisticated QX70 crossover, inspiring awe at first glance. Stylish on the outside and sumptuous on the inside, each new INFINITI vehicle at our dealership is eager to join you as you explore the twists, turns, and long stretches of asphalt on your next voyage. Get a quick quote on a new INFINITI car or SUV, today! In addition to our newest INFINITIs, we’re proud to offer a wide array of quality used cars for sale, including certified pre-owned INFINITI models. Affordable yet head-turning, the used cars we sell have a knack for being a hot commodity. Whether you’re seeking a fuel-efficient sedan for daily Lynchburg commutes, a spacious SUV for family road trips out of state, or a sporty coupe for chasing weekend excitement, know that our Roanoke used car dealership is in your corner. Finding a new or used car within your price range isn’t always a cakewalk—this we understand. To soothe both your mind and wallet, we proudly supply you with some of the area’s finest New Vehicle Specials, Used Car Specials, and INFINITI lease offers. This way, you can get into the top-quality vehicle that you desire without having to break the bank. Do you need financing for your purchase? Visit our Finance Center and take advantage of the opportunities that we have available. We’ll work to get you into the new or used vehicle that you love by providing you with loan options to assist with your purchase. Shopping at Berglund INFINITI is a win-win! You can always trust Berglund INFINITI of Roanoke to handle your automotive needs. Our auto service technicians have the knowledge and experience to diagnose any problem correctly the first time, getting you back on the road quickly and safely. We also keep a well-stocked supply of genuine INFINITI parts on hand, both to supply local do-it-yourselfers and to expedite on-site repairs in our state-of-the-art service department. You can also save on your service. If you’re in need of auto maintenance or repair near Lynchburg, VA, but would rather not spend top-dollar prices for top-tier service, be sure to glace through our INFINITI service coupons. When you shop at Berglund INFINITI of Roanoke, you’ll never lack opportunities to seek thrills. We showcase hundreds of new and used cars, impeccable service and parts, and a flair for treating customers like family. Our INFINITI dealership near Lynchburg puts you in the driver’s seat, and you can travel to each destination with confidence. Contact our Berglund Luxury Roanoke dealership to speak with a member of our INFINITI financing or sales teams, and the road will soon become your playground. If you’d prefer to speak to someone in person, feel free to stop by our INFINITI dealership at 5000 Franklin Rd in Roanoke, Virginia. We look forward to assisting you!